From Palm Bay. Kid plays fast and in his highlights, he lives in the backfield. At this time he is undersized (listed at 5 foot 8, 175 pounds), but he is bound to grow, as he is only a Freshman. Definitely a kid to keep tabs on. Like an elusive RB playing LB, outstanding closing speed and decisiveness. Boy got hops too! Jit is a beast... Love the very 1st play. Look for a huge Spring from this kid. Would be nice to see them together for a couple years! I was certain this was the case. LT is a missile. So athletic and strong. Kid is a playmaker on defense. those southmore highlights are legit! We got an interview with Tennison as well last night. That will be coming out soon. Nice, I am assuming he worked at LB? He may be undersized height wise, but idc, the kid is a player. 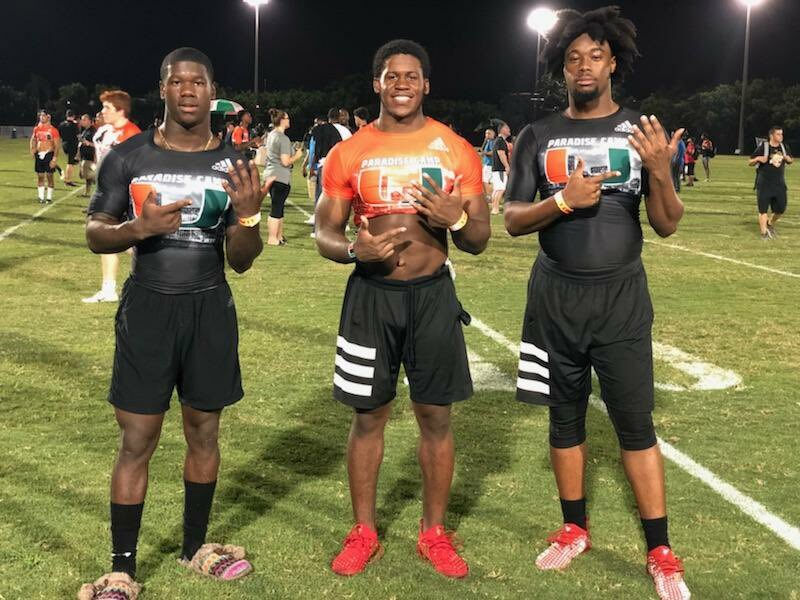 DB..... Canes are talking DB. Some serious sandals there....hard to interpret the meaning of them in relation to recruiting. Are they Indian sandals? Caribbean? Just what are those? What school could they suggest? Maybe we need a separate thread just on Tennison's footwear and how they evolve over the coming years until he signs with a school. the kid is a talent. great nose for the ball and he LOVES to hit! Mitchell imo isn't the worst backup plan for Mcintosh... No top end speed, but everything else. Looked good in cat/mouse hightlights from paradise.